Ordinarily the Address Book contains contact information which would include a home address. In ChurchSuite we've also provided optional Student data fields so that churches can keep track of a student's University/College accommodation address and course details, as well as their home address where they return to during the holidays. You'll need Administrator or 'Manage Module' permissions for the Address Book module in order to access the Address Book module settings. Click Address Book and then the cog wheels in the top right hand corner of the module. In the Address Book module settings, scroll to the section 'Contact Fields' and tick the box to " Show Student Details fields". Having enabled the Student Details fields in the Address Book module settings, these are now visible in a contact's profile and can be populated with the student's secondary home address details and telephone number (perhaps a parent's address, so you can stay in contact even when they're away from your church e.g. if they've gone home during holidays). You can also record details of their University or College, their course, and the course start and end dates. After editing your student's contact details, save your changes. These Student Details now show in the Contact profile page just under the "Key Dates" section. Within Smart Tags you can add conditions that match based on student details fields. The following Smart Tags are supported. The "Is Student?" condition simply looks at the presence of information in any of the student fields. It therefore makes no determination on whether the person is currently a student of a past student. However using the "[Course] Start/End Year" conditions will match against all students who have a course start/end year in the criteria range. We've provided several Student reports in the Address Book that you can use to inquire of your Student information stored in your database. Click "Address Book" > "Reports" and scroll down to the "Students" section. 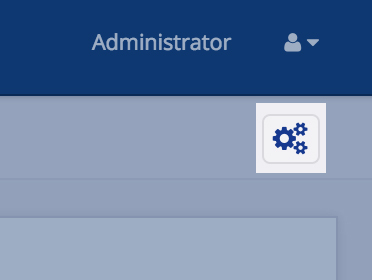 Each Student report has the blue "Filters" section at the top where you can filter your students by start and finish years, University, and course; ticking whether to include 'current students only'. After changing your filter settings, click 'Generate' to refresh the report results. Reports can be printed or download in CSV or PDF format. You can also communicate with your students in the report results by email and SMS. Finally, you can create a Tag group from your Student report results (See our article on Tags for more information about grouping contacts). If you're thinking about where to plant new student small groups, why not use the Student Location report, which plots the primary address of your students (rather than their secondary family home address)? The report is great for identifying geographical groupings of just your students. By identifying your students in this way you can help better help them to meet other students who, like them, may be living away from home. Why not use the Student reports to find out who to invite to a student lunch.